It’s a quieter weekend in the world of pro gaming compared to earlier in the month, but there’s still plenty going on, especially if you’re an Overwatch fan. 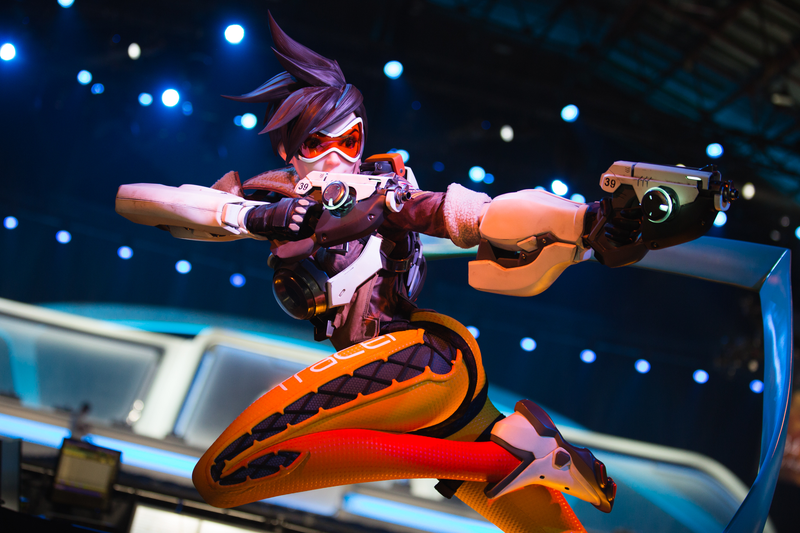 While lots of money changes hands as the ground work gets laid for Blizzard’s premier Overwatch League, the game’s lower tiers continue to grow into their own with the start of the Overwatch Contenders Season 1 which officially kicks-off this weekend. We got a taste of the league during the open qualifying stage earlier this year, and now after eighteen teams from across both North America and Europe have been selected to compete, we’ll get to see how play evolves over the coming months. If you’re not a fan of staying up late to watch South Korea’s APEX league live, Contenders is a good place to start, and will be a good test of how sustainable the game’s growing competitive scene is outside of Asia. It’s a packed couple of days for Blizzard’s team-based shooter with matches going on across a handful of disparate tournaments. First there’s season 1 of Overwatch Contenders, which will see Misfits face Cloud9 today at 1:00PM EDT, followed later by eUnited vs. Team Gigantti at 3:00PM, Immortals vs. EnVyUs around 5:00PM, and finally Rogue vs. EnVision around 7:00PM. Matches then continue on Sunday starting at 1:00PM EDT with 123 vs. Team Singularity and will continue into the afternoon.Those matches will be streaming below. Next there’s round five in the swiss group stage of China’s Overwatch Championship Series Season 1. Those matches begin Sunday at 7:00AM EDT with 7th Heaven vs. Crest Gaming which you can watch here. And finally you can catch the Overwatch Pacific Championship Season 2 here, with matches beginning at 4:00AM EDT Sunday morning starting with Libalent vs. HKA. The quarterfinals wrap up this weekend in Europe with Misfits currently battling Unicorns of Love for the chance to face Fnatic in the semis, while G2 Esports face Splyce on Sunday at 11:00AM EDT. Then in North America Cloud9 take on Team Dignitas today at 3:00PM EDT followed on Sunday by Counter Logic Gaming vs. Team Envy at the same time. The winners of those two best-of-five series will then go on to face Immortals and Team Solo Mid in the semifinals next week. The Pokémon World Championship is going on right now as well. The biggest competitive Pokémon event of the year, the World Championship, hosted in Anaheim, California, features tournaments in both the handheld games and the trading card game. Play began today at 12:00PM EDT and will go throughout the day, with the grand finals on the main stage slated to begin at 7:30PM. There’s also a Pokkén Tournament going on. You can watch all of the Pokémon destroy one another here. The world of Super Smash Bros. is packed with stuff to watch this weekend thanks to two simultaneous events. First, across the pond in Europe is Heir 4, a premier Melee tournament featuring top players from across the continent ranging from Armada to Jeapie. Matches are ongoing throughout the day today with international crews topping things off at 2:30PM EDT. Then action resumes on Sunday at 4:00AM with top 8 scheduled for 1:00PM. You can watch it live right here. 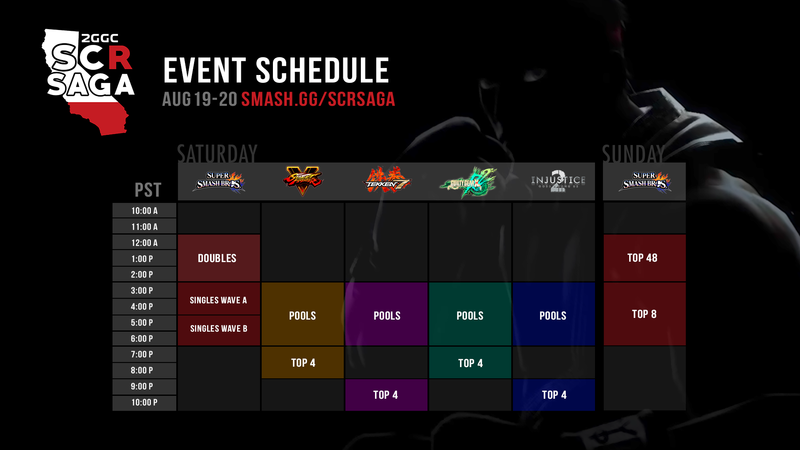 Then stateside there’s SGGC: SCR Saga featuring Smash 4. ZeRo, MKLeo and the rest will be competing in California with play beginning today at 3:00PM EDT, followed by top 8 on Sunday at 6:00PM. You can catch the majority of those matches here. In addition, the event will also feature side-tournaments in a number of other fighting games with a full schedule here. The closed qualifiers for ESL One New York 2017 are currently underway with Ninjas in Pyjamas will face BIG at 2:00PM EDT today, followed by Cloud9 vs. L4Org and two more matches later in the evening. You can stream those matches here. The Gfinity Elite Series continues this weekend as well. Prophecy play Method at 1:30PM EDT, followed by EnVyUs Academy vs. Epsilon Esports at 4:30PM. You can find a complete breakdown of the current standings over at Gfinity’s website. All of the matches will be streaming here. You can also get your ink on with the InkStorm+ Splatoon 2 tournament. Starting today at 1:00PM EDT and Sunday at the same time, with group stage play flowing into an eventual single-elimination bracket later in the weekend. You can catch all of the matches here. The Master’s Coliseum continues tomorrow with the lower bracket semifinals. Dark.Sc2 will take on INnoVation Sunday morning at 8:00AM EDT followed by soO vs. Rogue an hour later. There are more open qualifiers for the fourth season of the Rocket League Championship Series going on this weekend. Matches begin at 1:00PM EDT today and resume again on Sunday at 3:00PM. You can find out more about which teams are competing here with matche streaming live here.